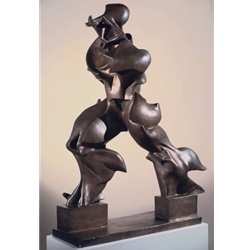 Boccioni sought to infuse art with dynamism and energy. and speed as it forges ahead. 1913 (cast 1931). Bronze, 43 7/8 x 34 7/8 x 15 3/4" (111.2 x 88.5 x 40 cm).